When you need Evesham auto glass replacement that is affordable and convenient, Clear Vision is your clear choice! 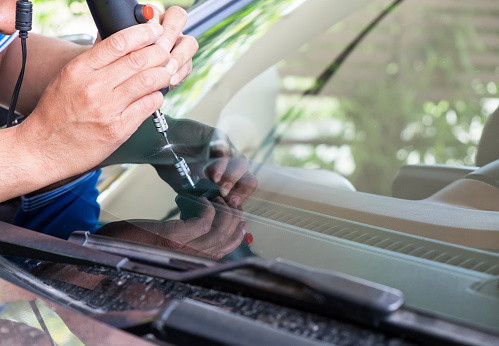 Wherever you are in Evesham or Burlington County, our mobile technicians can repair or replace your auto glass. We’re on call 24/7 for emergency assistance, and we can help you get back on the road safely again. Cracked Windshield Repair. Have a smaller-than-a-quarter crack or chip in your windshield? Don’t wait…make an appointment with Clear Vision and let us repair it for you. If the crack or chip grows larger, you may need to replace the entire windshield, at a much higher cost. Windshield Replacement. For windshields cracked or shattered beyond repair, call on Clear Vision for affordable replacement. One of our techs will come out and install your brand new windshield, using perfectly functional and less expensive aftermarket equivalent glass if you choose. We can replace windshields for whatever your vehicle type. Mirror Repair. A cracked rear or side view mirror isn’t just unsightly…it’s extremely dangerous. Blind spots are a major cause of accidents on our highways. You also run the risk of an expensive citation, especially in a commercial vehicle. Don’t take the chance…call Clear Vision today to fully replace your mirror and make your vehicle safer. Power Window Replacement. Clear Vision can fully replace your power window at much less than the cost of a dealership. Let us know the make and model of your vehicle and one of our techs will bring out the necessary parts, replace your window, and vacuum out any shattered glass from the interior. Don’t take chances with limited vision or getting an expensive ticket. Contact Clear Vision today for your Evesham auto glass replacement needs…or request a quote using this form. We’ll help you see the road clearly again and at a fair price.